His work at Banksy's Dismaland was absolutely stunning in its simplicity, dynamicism and political intent and you can't help but love the way he not only thinks, but how it translates into his work. This comes from his work with Adbusters, a magazine that pokes fun but asks real questions about brands ethics and how they advertise. 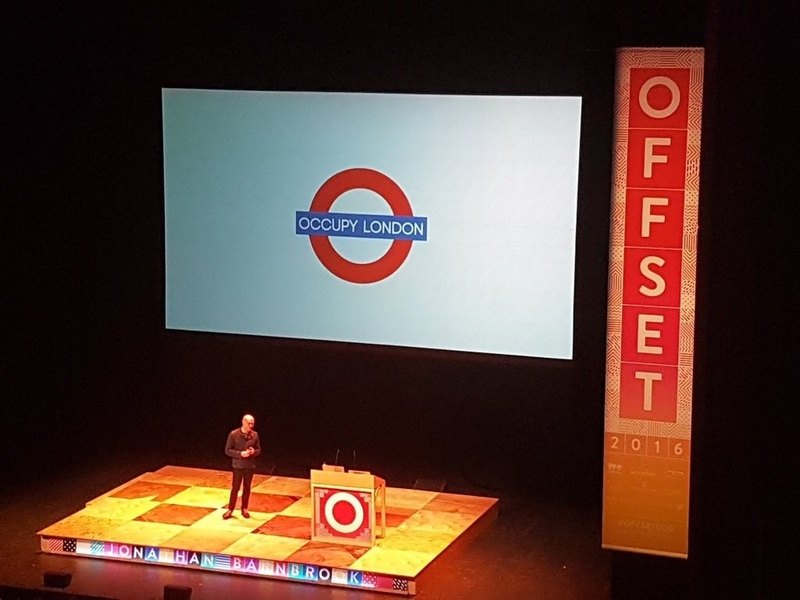 He is passionate about designers also being ethical and not lying to people on behalf of big brands; this is quite apparent in the work he did with the Occupy London movement. 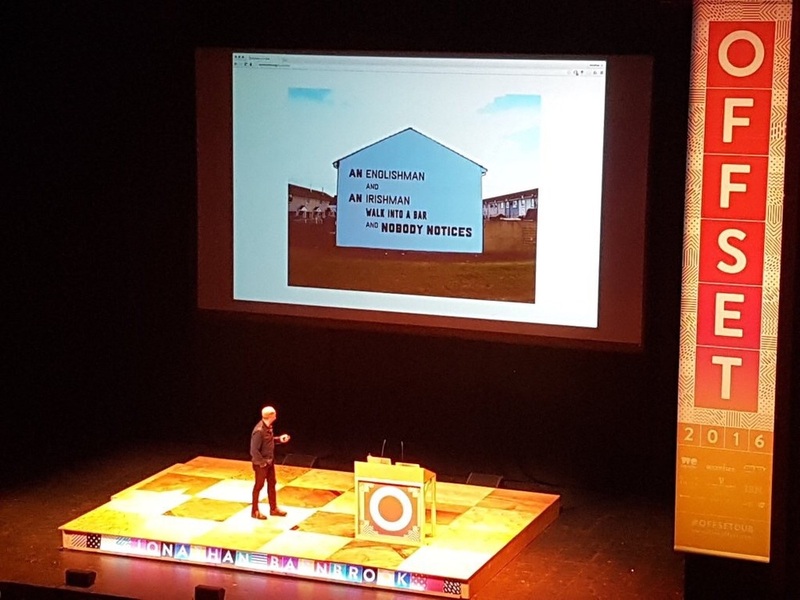 Jonathan has spent a lot of his career designing typefaces which in some ways seems like an odd thing to continue doing, bearing in mind that isn't the point being able to read just one font? Well as it turns out... Not really. He has a multitude of compelling reasons for continuing to create typefaces and he's dead right; a few reasons are: To improve society, to understand society and to create beauty and you can't be any more sincere than that. He wrapped up the talk with a quick chat about how he designed the cover of David Bowie's *Blackstar* album, the word in asterisks because his album is not a word but an emoji which I genuinely didn't know. The concept is absolutely, truly brilliant in a pragmatic, transitional and almost perfect way... And what a man to do it.